Responsive Web Design (RWD) while an easy to grasp concept for most of webmasters and devs today, still requires a concise understanding of the core functions that browsers use to render responsive design for display, and ignoring those functions can lead to the development of badly coded responsive websites that will hinder user experience, and cause issues with website performance. Besides HTML5 which has helped to define the direction of responsive web design, developers also need a great understanding of CSS3 without which responsive design is simply not possible to accomplish. Media queries for example is the standalone solution for defining particular pieces of content for particular device screen sizes and types. But even then, those kind of functions touch only the very tip of the iceberg of everything that responsive design is capable of. Mobile-friendly is another sensitive topic that will without a doubt reconstruct and reorganize how responsive design is perceived. There’s clear indication that mobile itself is moving towards a more specific approach of displaying content, which comes in the form of mobile applications and frameworks. All these growth concepts require thorough investigation of the future of design, and how your current tactics can be modified for future growth. With the understanding of where web design is headed, we’ve compiled a list of some truly practical and handy responsive web design tools that will fit just great into your existing toolkit, surely some of these will have already found their way to your heart, but some might be completely new to you. From direct front-end frameworks, to mobile testing tools, and plenty of inspirational design pattern resources that will help you build better, more responsive, and more engaging websites from now on — grab a cup of tea and begin your excursion down this stellar roundup. 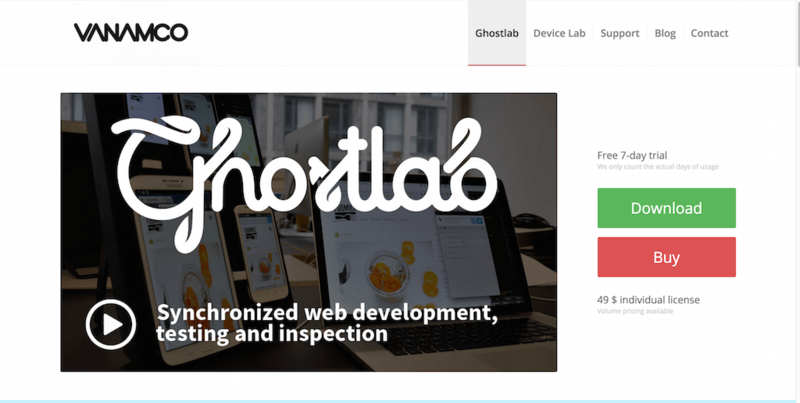 Starting out with front-end website building has never been more convenient. Frameworks like Bootstrap make the process of bootstrapping a functional business website truly an effortless task. 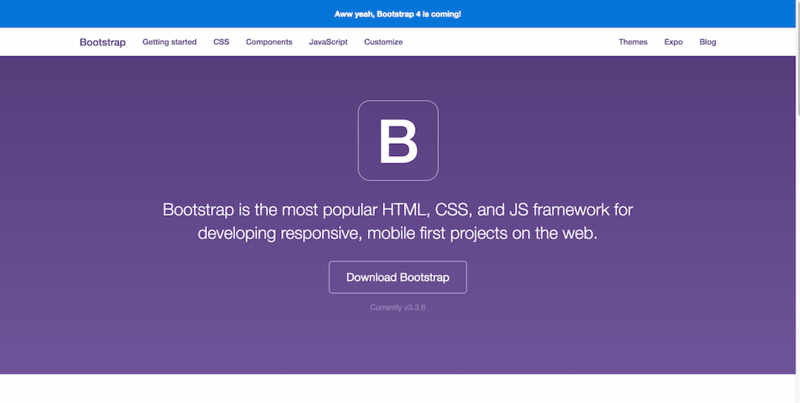 And since Bootstrap follows the latest web standards, all features are compatible with responsive design as well. 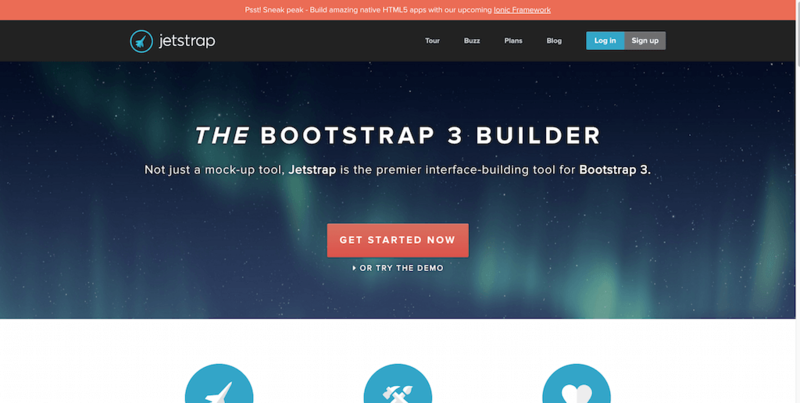 What makes Bootstrap so successful is highly attributed to its vast collection of components, take the standard Bootstrap grid design and apply to it any of the free components to quickly bootstrap a modern website. Another big trend in front-end development is custom builders, you will have heard of website builders already, but you might not know about Jetstrap — a complex Bootstrap builder that saves you your productive hours from having to read the Bootstrap documentation every time you want to implement something new. The browser interface of Jetstrap is friendly to those experienced with web development, but also those who’re not, and who are just starting out with building modern and responsive websites. Create beautiful interfaces in a matter of a few hours, compared to days spent weeding through docs and trying to put together the many components that Bootstrap offers. Not all developers enjoy designing interfaces, not only because of time consumption, but also because of the strenuous process. So that’s where Jetstrap comes in and gives you room to expand your developer knowledge, while building great Bootstrap website prototypes. Flexbox is perhaps the most talked-about feature of modern web design and development, and has spurred countless topics written by veteran developers in the last year alone. Flexbox’s basic definition — a robust layout tool that solves common issues found in responsive web design. 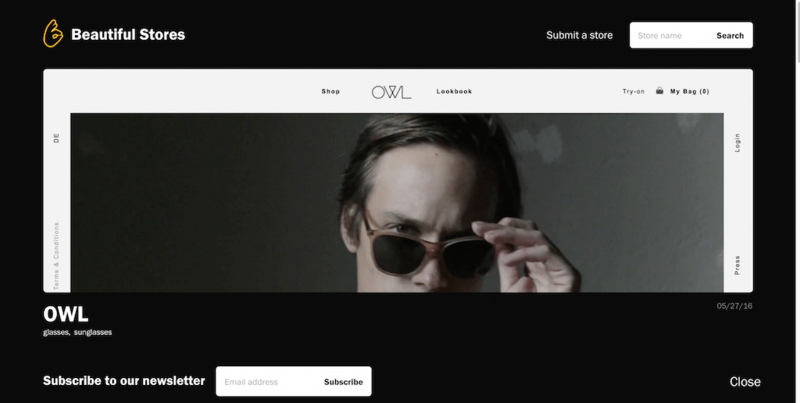 What’s Webflow? 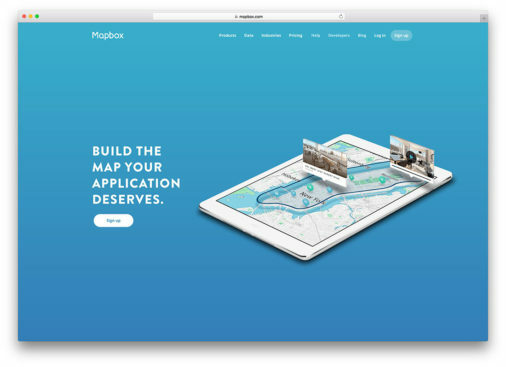 It’s a platform that integrates Flexbox design into a visual builder, save hours of development and opt for an easy UI that you can build responsive layouts with. So anyway.. Why Flexbox? Part of the reason why Flexbox is so popular, is that it solves complex design issues that would otherwise require unproductive design patterns. To give you the basic rundown of Flexbox — you can effectively create complex design patterns with only a few lines of code. For example, creating equally aligned modal elements that continue to remain aligned despite the font sizes that you use for headlines, or sub-headlines. 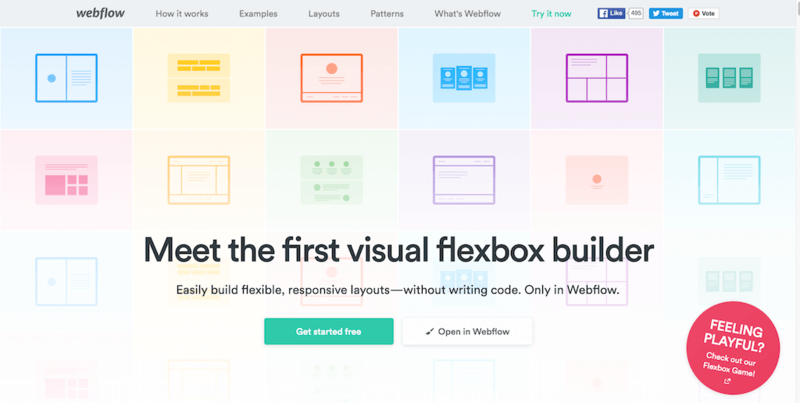 With Flexbox you can create layouts like feature outlines, or customer reviews and align them so that they provide a remarkable user experience. Even mundane things like pricing tables that you relied on native CSS3 to help you outline, can now be integrated in your designs using Webflow’s Flexbox features. Full-on website grids can be built to accelerate the speed at which a website comes into fruition. As a web designer, there’s no escaping the UI patterns that govern so many of the websites, apps, and tools that we use on daily basis. Just imagine what the digital world would look like if we didn’t rely on common UI patterns. It would be one crazy, distorted world. 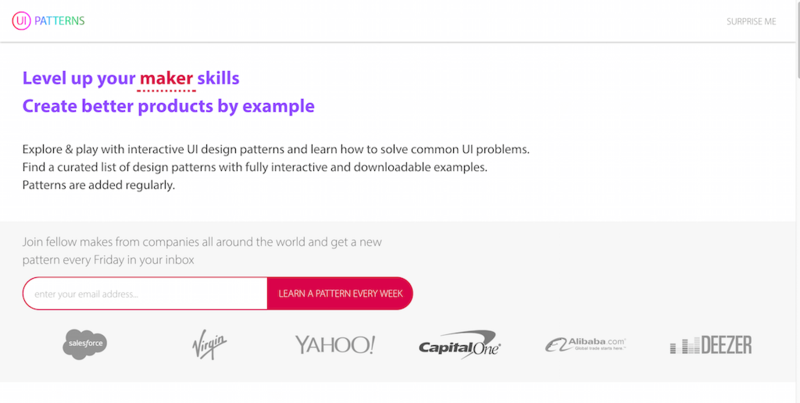 But, thanks to evolution of design, and the understanding of how patterns repeat themselves in common functionality, it’s possible to learn about the different UI patterns that rule categories like forms, data management, content management, layout, navigation, and user screen pages. It’s a vast array of design screens that can be recreated using your own design style, but following the guidance of common UI patterns to achieve a sense of balance. And those are also the categories that UI Patterns covers. Each category has a number of sample patterns that display the way each design category can be modified to reflect standard UI patterns, all of whom have been found to be most favorable by the average digital user. The design patterns that you’ll find on this page can be applied to native, and mobile applications. Responsive design was all about usability right from the start, managing a single layout for multiple devices is a heavy task on its own, but patterns help to even out the problematic tasks by letting you apply a single pattern to multiple designs. 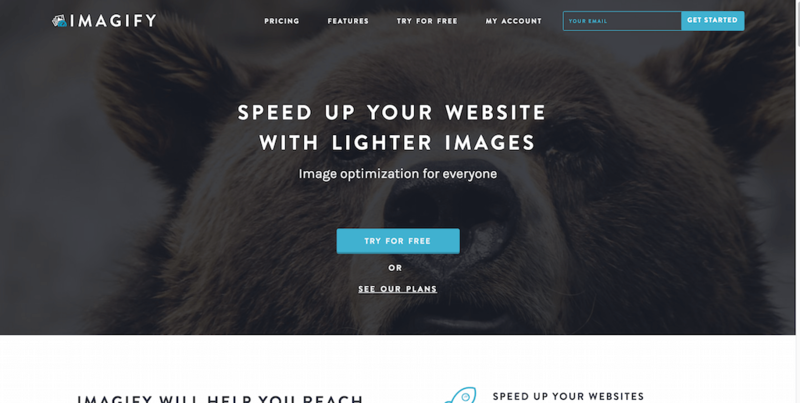 Images is another highly favorable topic in responsive design. After all, you wouldn’t want to be serving the same exact image to visitors who comes from tablet devices, or from their smartphones. The device resolution is always going to be different, and while CSS3 features exist to maintain some sort of balance between the image sizes and types that different devices are downloading, improving image quality and their size is still a very strong topic. Sure, HTTP/2 is going to bring forth some great changes for developers across the world, but the next 5 years are still going to be fairly tough for the web. HTTP Archive reports that in 2010 — on average, the size of a single web page was roughly 700kb, whereas in 2016 — that number has grown to 2.2mb! And majority of those megabytes is taken up by visual content; images. So.. you have to ask yourself, am I compromising the performance of my pages due to irresponsible decisions in terms of image optimization? That’s where you can learn about Imagify, a service/platform that sort of wants to answer that question for you, and give you the right tools to get on with image optimization, as a fully automated process. A WordPress plugin is made available so that you can optimize all your existing and future uploads on the fly. Unless you directly look into the problem, it can often seem like it’s not a problem at all, but if corporations like Google encourage users to improve their website performance in exchange for better rankings.. you know that there’s no going back from that. The thing with responsive design is, you can work all day and night on perfecting the layout you’re after, but even after the layout is done — there’s more work to be done, and that usually comes down to the way that you can integrate interactive and dynamic content into your designs. Sure, WordPress made it easy to plug-up the content with exciting plugins that somewhat cater to the responsive device, but truly native responsive websites are a much tougher cookie to crack, and one of the things you find in content the most is charts, graphs, and other data visualizations that depict the story through numbers. New York Times is a great example of how a responsive websites will need a responsive set of tools to create dynamic visualizations for the latest election results. 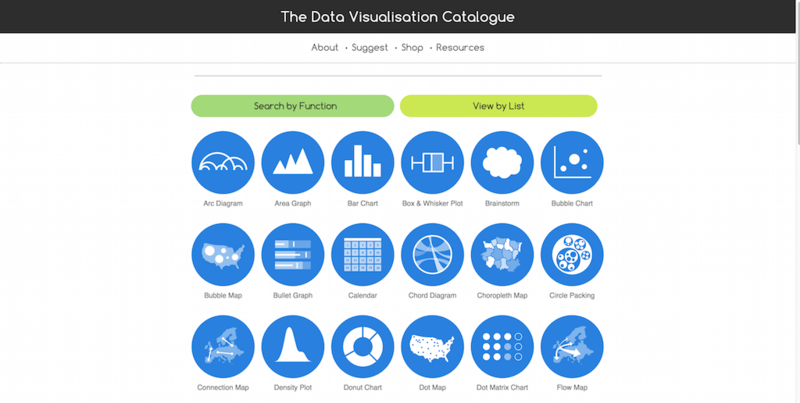 That’s why we’re sharing more about The Data Visualization Catalogue — a wonderful collection of data visualization patterns and functions that each have a unique page, a unique description, a preview of what the chart/graph/visualization is going to look like, and most importantly — a recommendation of the most stable latest tools that can be used to recreate such a diagram, or visualization. A lot of work has gone into this project, and it would be a fairly ignorant idea to avoid using this to help yourself understand responsive data visualization better. There is a great deal of examples available, such as — arc diagrams, area graphs, bar charts, brainstorm clouds, bubble charts and maps, bulletin graphs, calendars, connection maps, flow maps, histograms, line graphs, spiral plots and countless other creative ways to display your data, on a responsive website. 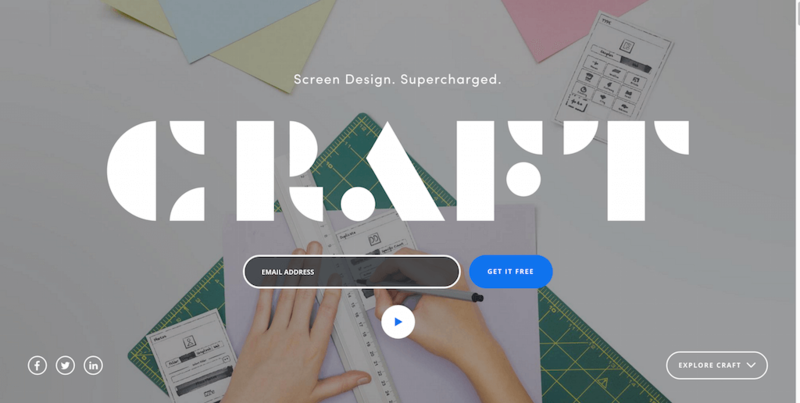 Craft is a new tool from InVision Labs, a prominent and highly reputable design software platform that has helped to shape the landscape of web design for many years already. With the release of Craft, it seems that InVision wants to keep that record intact, and they most likely will. Craft is a screen design tool like no other. It’s intuitive, it’s intelligent, it can accomplish difficult tasks, and it’s very responsive to the needs of the user. Create dynamic application prototypes that use real data (either provided by you, or custom generated) to create a unique app prototype experience. The library feature is capable of adding new and exciting design elements to your screens through cloud functionality, so whether you want to pull data from a live website, or upload it on your own — Craft Library is the feature to use. It’s unlikely we will see a competitor to such a system any time soon, so learning Craft right now could mean that you’d be more adapted to the new features it plans to release in the future. 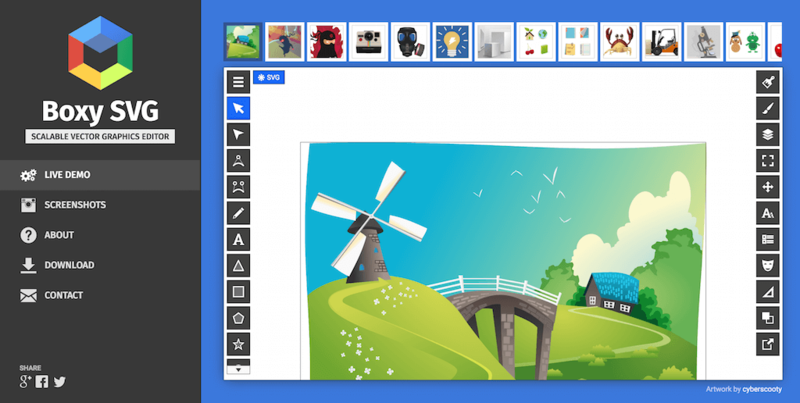 Boxy is a new kind of way to manipulate vector graphics directly in the browser. Up until now, graphic designers were heavily dependent on using tools like Sketch, and Adobe Illustrator to conclude common tasks focused around vector graphics, but with Boxy SVG — you can now create illustrations, icons, banners, mockups, charts, buttons and other custom SVG elements directly from your favorite browser. It’s astonishingly functional, and certainly useful. SVG’s are already the future of responsive designs, and tools like Boxy will ensure that it stays that way. The benefits of integrating SVG graphics into your designs are invaluable. They’re impeccably useful for performance, scalability, and beautiful user experience. Atomic does two things: it helps you build an interface using existing design files (PS or Sketch), and it helps you to prototype those designs with custom animations. Create custom apps without the limitations of device types, and see how those designs interacts across multiple platforms. A motion optimized engine will let you make animated motions that will enrich your application’s UI with some modern twist to it. 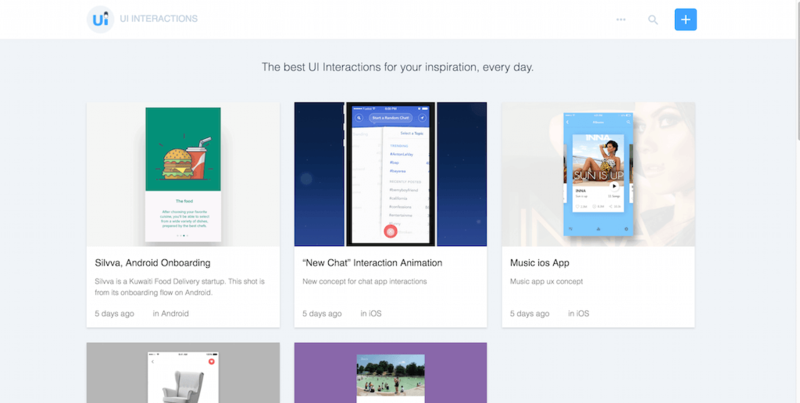 For each of your designs, you can get a custom URL that you can share with your design team, or with people who run different devices, and see how the app prototype interacts with them. See, what Atomic is trying to do here, is to give developers and of course designers, a chance to take it more easy in terms of building prototypes that would work across all major devices. Coding such a design individually would take up a mindless amount of time, yet using Atomic — that process is downgraded to a single design that works equally great on all platforms it is being tried on. Atomic records your design history and logs the actions you have taken so that you can revert back to a particular revision at any time. Team members can be invited to collaborate on designs together, and a feedback function exists to collect feedback directly if there’s ever a need to. 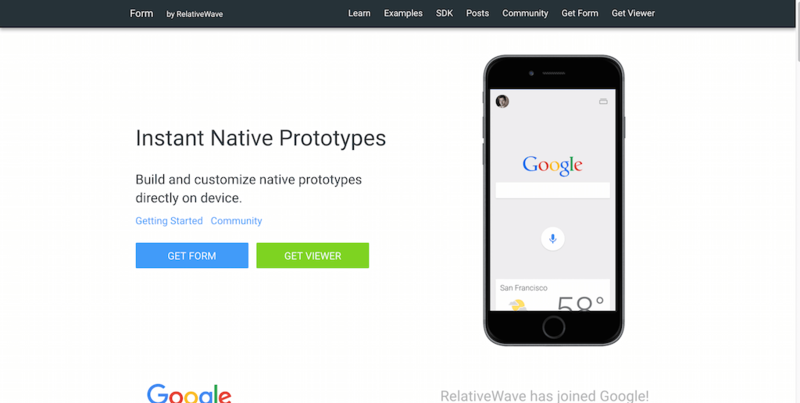 RelativeWave’s Form can be understood as a design tools for interaction management. While many prototyping tools cater to the desktop/mobile viewers, Form specifically targets native iOS implementations. Form, as a tool for starting with interaction design, isn’t awfully dissimilar as what you already get on the market, but the learning curve isn’t difficult to grasp. We won’t hide the fact that quite a few of these tools, are in fact for prototyping design interfaces, and in particular user interfaces. It just seems that the door to the market has opened in the last few years, and now companies like Google and Facebook are following suit to cater to the needs of professional graphics designers. 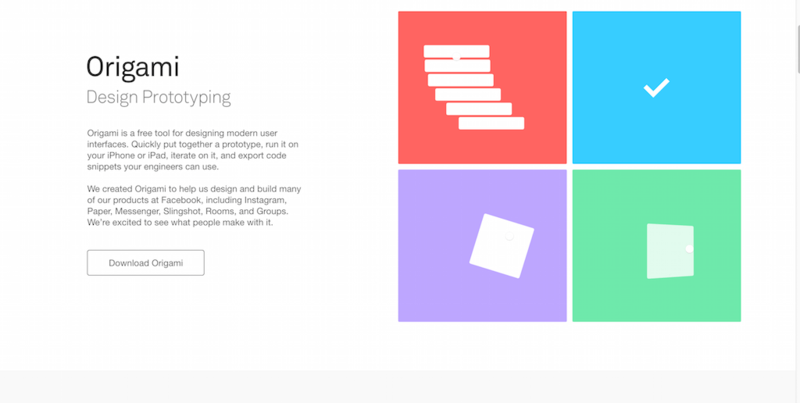 Origami is a design prototyping library that’s built by Facebook. Origami has already seen use in popular platforms like Instagram, and Facebook Messenger, and now anyone with access to their development toolkit will have the option to recreate some of those famous interface patterns using Origami. The modern components is what makes Origami’s back-end so favorable. Scrolling, swiping, and tapping elements have all been carefully designed and crafted to reflect the possibilities of state of the art technology. Origami, as a native application, will let you import your Sketch designs directly into Origami so that you can preview what your designs would look like live in the browser. And yes, Origami works for desktop prototyping as well. In many ways — it is a universal tool. 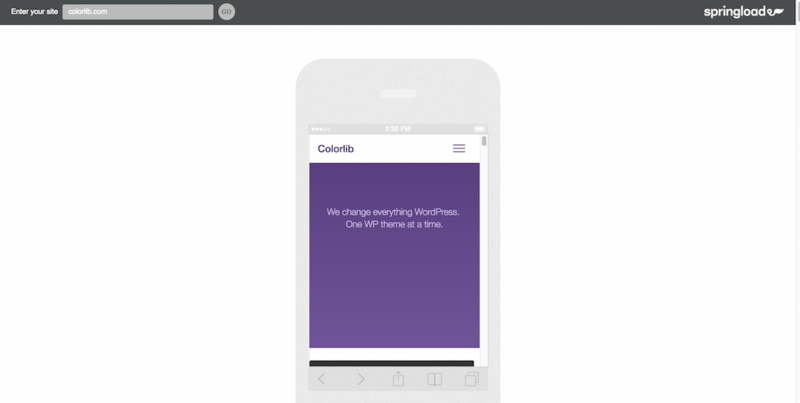 Want to bring more responsive goodies to your mobile apps? Learning from hardcoded books and tutorials about the usability of responsive UI interactions in mobile, is often a one way street. No app is ever the same, which is why creativity is a leading trait when it comes to creating truly unique interface interactions for the user. UI Interactions is a collection of creative, unique, and certainly original ways of a mobile app to customize and provide a unique UI experience. 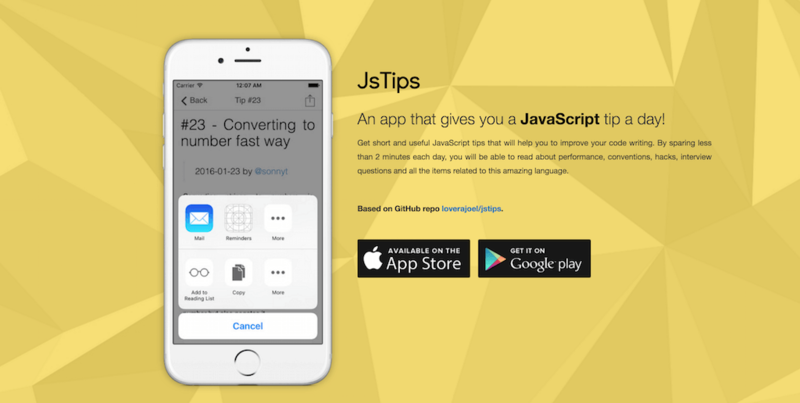 These are the kind of ideas that will help in shaping the future of your own mobile apps. Who knew that so many possibilities exist, yet so few are taking full advantage of them. 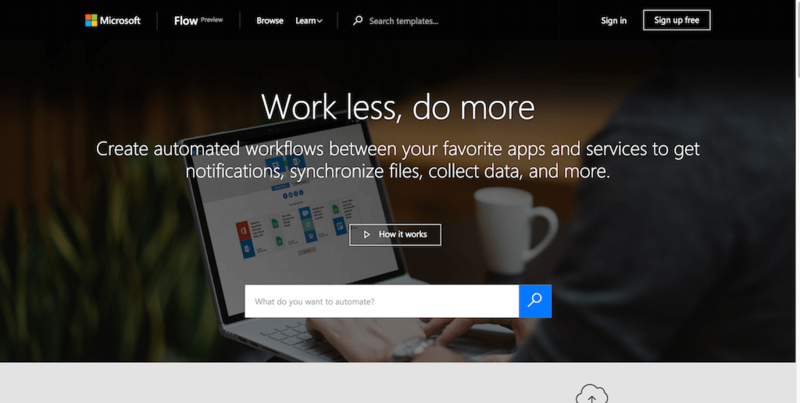 With Microsoft Flow we’re stepping into a more enterprise-level design development. Flow is for building workflows that can automatically do several tasks on behalf of your own development process. Why would this be useful in design? Well, for one — it helps with synchronizing data across many devices, and second — it has a neat notifications system that can be used to setup alerts, custom notifications, and more. This way, your team, and your bottom line remains intact when it comes to being up to speed with what is happening across the overall design structure. What makes Flow so appealing as well, is the amount of services that it can connect to — Twitter, Dropbox, Slack, GitHub, Google Drive, to name a few. There are more than 30 readily available service integrations from the time of writing this. And that’s not it either. The custom templates will help to explain how Flow can become a useful addition to your existing design workflow, or development — we won’t judge. Each template is designed for a specific purpose such as sending you a text message when your boss emails you, adding Twitter leads to CRM, or backing up your files. These templates are just the tip of the iceberg and are intended to inspire you to create flows that are customized to the exact processes that you need. Mobile-only developers won’t like to admit it, but desktop-first approach is still the best way of scaling down a design to be suitable for different device types. The developers built 1140 responsive grids for screens that are 1280px in width, with the capability to gracefully downgrade for tinier screens. Unfortunately, the original website is now defunct, but all available open-source files are still on GitHub, and some documentation is available to help you with building your first CSS grid website. We learned quite a few things about responsive images already, most important of which was the fact that images need to be optimized for all device types, and minified to provide the best possible user experience, without the expense of website performance. Just think of how much faster the web would be if every single website started to deliver performance-optimized visual content to its visitors? The overall web traffic would drop by a staggering amount, but unless this is going to be enforced natively, we won’t see a change like this happening for a long time still. However, alternatives exist. One of which, is Adaptive Images. The Adaptive Images algorithm is capable of detecting the type of a device that a user is accessing your pages with, and deliver to that user a more specifically crafted image that would respond to the requirements of a device that’s much smaller in screen size. Adaptive Images stands out because it integrates with popular content management systems seamlessly, without causing pages to break. 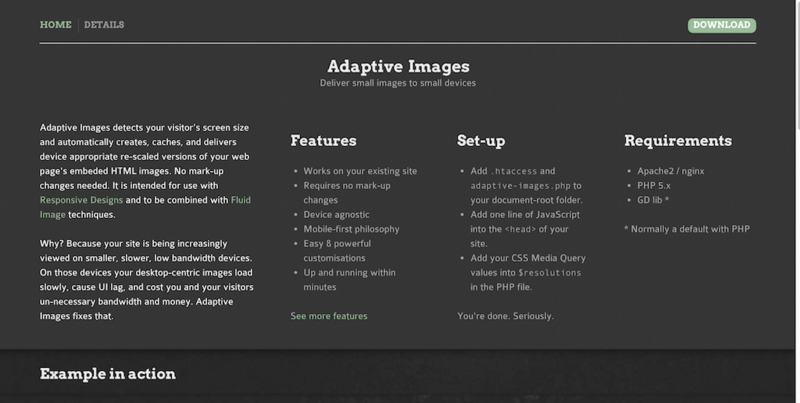 So in essence, there aren’t many reasons NOT to use Adaptive Images. Adobe isn’t so shy when it comes to keeping up with the latest design traditions. 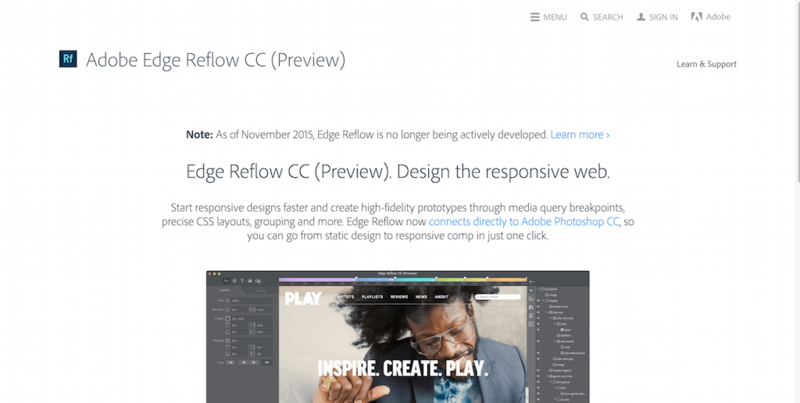 However, Edge Reflow had been available for a long time, and due to the circumstances — the project had to be discontinued where development was concerned, but users can still enjoy the flexibility of this wonderful software to build and prototype a design through modern scripting languages like CSS. 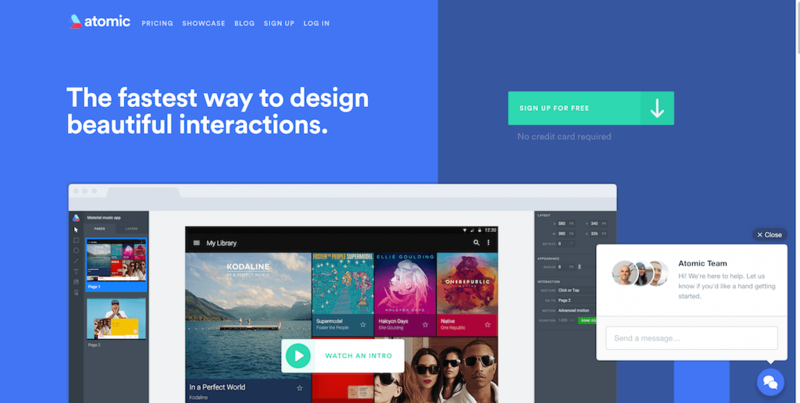 Because Reflow natively integrates with Photoshop, you could go from creating a simple design/animation and making it into a responsive feature that’s part of your website. Media (files, photos, music, videos, etc,) is what slows the web down the most. We haven’t unfortunately learned how to manage vast amounts of data to provide the user a browsing experience that would reflect minimalistic functionality. Bandwidth isn’t free, yet. And it certainly can be expensive in developing countries. 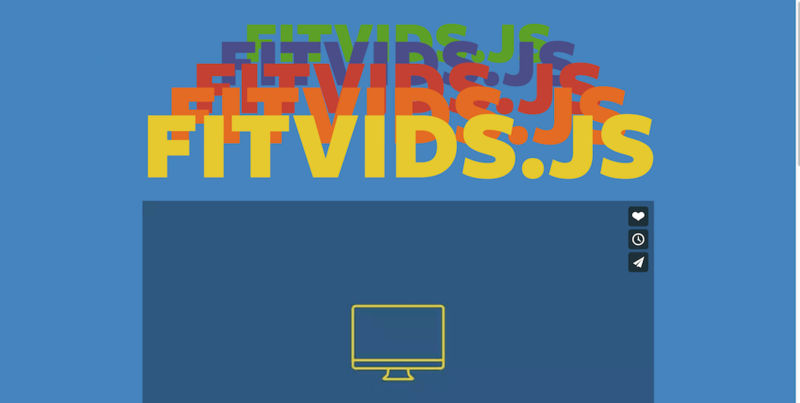 Chris Coyier, who runs CSS-Tricks, didn’t think twice when he decided to give back to the developer community, with FitVids — a fluid jQuery library for doing seamless video embedding in your responsive websites. It’s so crucial to deliver these point to point experiences for users, so that they may never question the quality of the platform that they’re browsing. 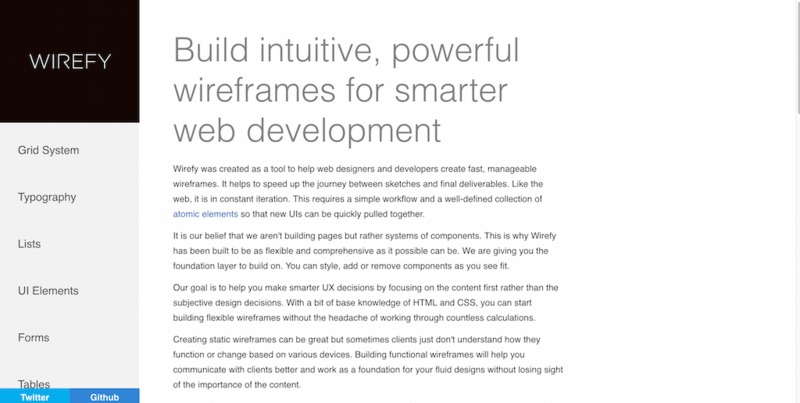 Wirefy fills the role of going from a design sketch, to a full prototype implementation. To achieve desired result, there needs to be a way of putting together UI elements quickly. That’s where Wirefy fits in the best. Wirefy is the layer that you can build on top of. Take the layout, and manage per your own requirements. Be it removing components, or managing the style capabilities. Needless to mention, building a prototype that a client can actually interact with, is going to give you a reasonable amount of “extra points” for the effort. Sketching designs probably doesn’t get as much love in technology as it does in fashion, but regardless — it’s a popular technique employed and used by designers who like to put their ideas on paper first. That’s how Interface Sketch was born, a collection of desktop, mobile, and tablet interfaces that anyone can print and begin sketching on. A couple of the sketches have dotted grids added to them so that you can sketch with precision. Even if you print out a few of these and carry around with you in your backpack, you’re bound to find the time to pull one of the sketches out and export some of your burning ideas on paper. Who knows what might come out of it, could be the next big thing for all you know. Style Tiles can be a wonderful addition to your process of communication ideas between your shareholders, and your clients. With a style tile, you can present ideas based on answered questions. Also, you can built a seemingly effortless prototype that could be the future of a finalized design. 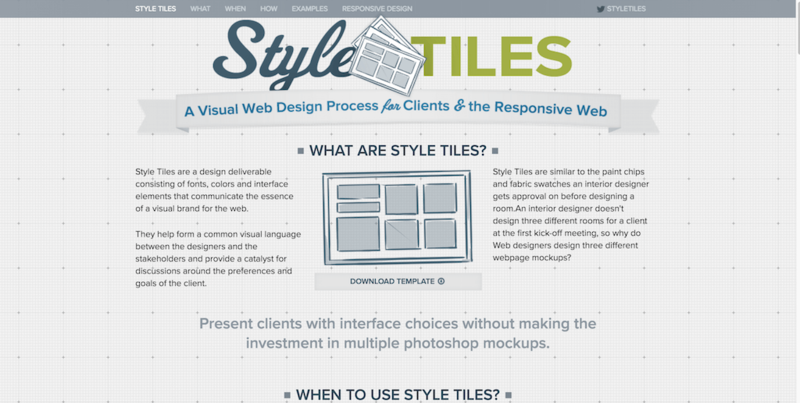 Why waste time building multiple prototypes and designs when you can use simple tiles to create a single design. This design could set the benchmark for the rest of your project. This way, you’re working directly on the atmosphere and ambience of a project. You can then incorporate those findings into the final revision. Design is grids. It really is. To create an aligned layout, you will end up using grids in some shape or form anyway. And why not use Gridset to do the work for you. Gridset specializes in providing designers with the necessary tools to achieve sophisticated grid layouts. 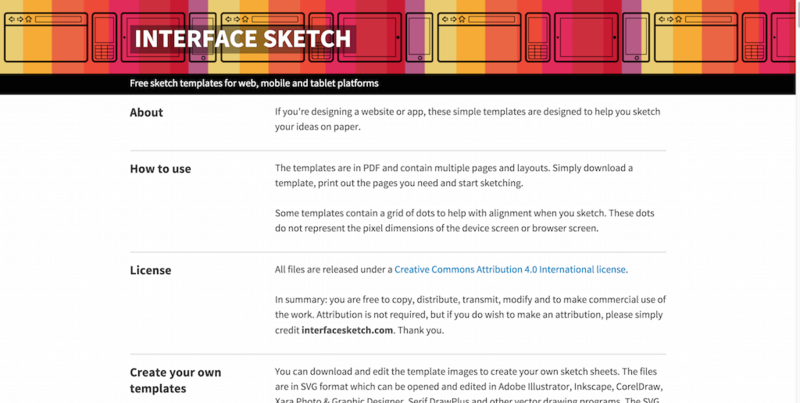 You can use this layout in live designs, prototypes, and presentations. Forget about having to calculate every single pixel and inch to align the perfect grid layout. Gridset does this process the best anyway. Gridset plays well with teams by letting you share grids easily with colleagues, wherever they are. You can collaborate on designs and avoid disruption when team members are away. 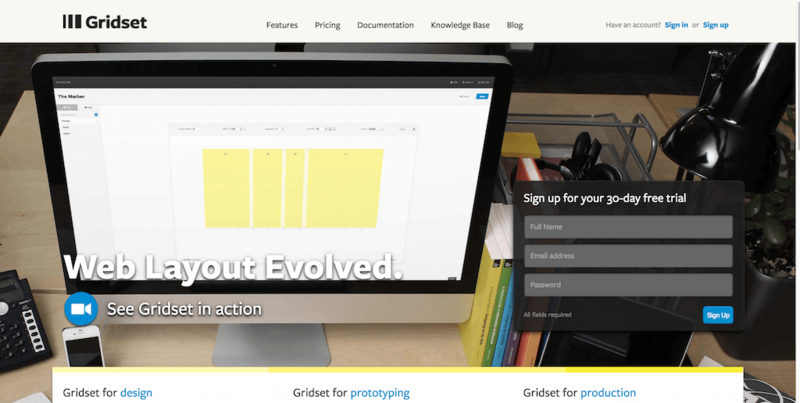 You can even invite clients in to see the grid design process as it happens. Also, you can share your sets publicly to get feedback. Gridset generates useful assets to smooth the transition between the browser and your graphics applications. It creates PNG files of your entire grid set, as well as an easy embeddable CSS file for testing. 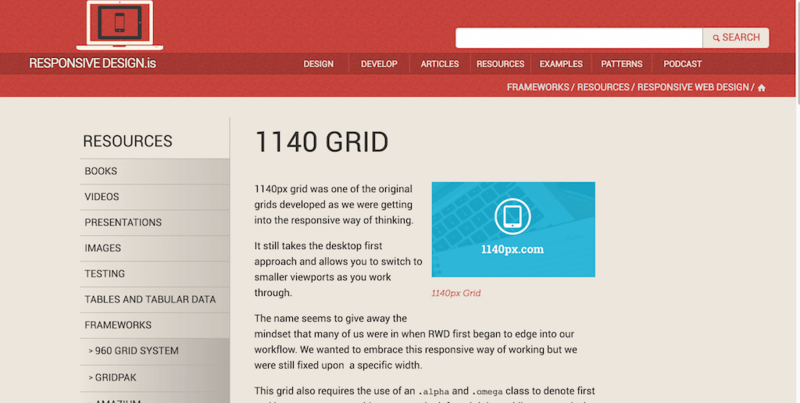 This will now let you view and work with your grids inside your design tool of choice. 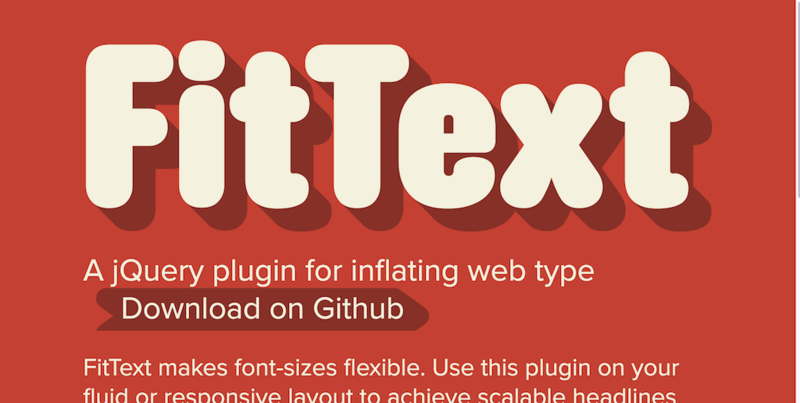 Text or typography if you like plays a huge role in responsive designs. First, you have to get the layout right, but you can’t forget about aligning your typography. This will reflect the same qualities over all devices and mediums that access your content. Similar to FitVids, this is where FitText comes in. It’s a simple jQuery library for scaling your headlines that will match the size of a parent element. This way, your important headlines will always remain in the spotlight, fully aligned through modern standards of web design. Long have gone the days when you had to check the compatibility of a website design through multiple physical devices. Indeed, such times existed. But due to software evolution, now you can check the responsiveness of a website on a large set of devices. You can do this by just entering your website URL into a tool such as Responsinator. It’s truly a remarkable feat of design technology, and will save you tons of time in design process. Now you can load up your website and have it tested against the most popular and modern smart devices. Now, you will be able see if at any point, you can do improvements to your site. The debate of whether website builders can be successful in reproducing stable and scalable responsive websites will forever go on. But only those that know how silly the argument will be capable of capitalizing on such an amazing opportunity. Clients are looking for websites 24/7. There is always someone new trying to come online, or trying to bring their business online. None of them are necessarily of a big scale, because big scale companies will already know where to look. So, why waste time designing a simple website for countless hours, when you have tools like LiveControl that protect productivity. 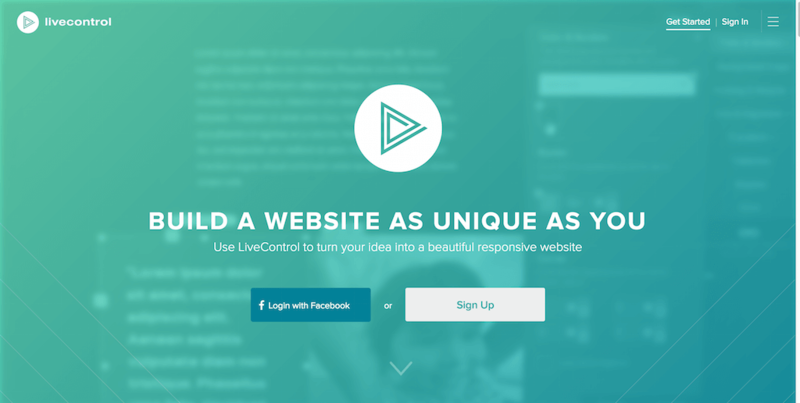 LiveControl gives you the toolset for crafting responsive websites on the go. It’s really that simple, but you will have a difficult time believing that unless you give it a shot yourself. Responsive website builders like LiveControl can make it incredibly easy for you to start setting a website. This is whether it’s a content website, or a business store that your client needs. LiveControl is using modern technology standards that allow the websites to be modern and professional-looking. These are also compatible with design standards like layout alignment, and more. Sometimes, you can just pick an existing theme and make modify it, and then simply call it a day. What does it matter when you achieve the desired result for that particular client. Close the invoice and move on to the next big thing. What website are you building? Is it a WordPress blog for sharing content? Are you a writer looking to build a minimalistic platform for yourself? How about all those countless clients that you’re working with? What are they looking to have built? The choices and the purposes of building a website are many. Some of the most prominent designs fall under the eCommerce branch. This evolution of website category provides individuals/businesses with the chance of launching their line of products online. To do this, you must establish an eCommerce website. While WordPress caters to the needs of eCommerce aspirants, sometimes it’s best to build a custom platform. And that’s where Beautiful Stores comes in. The developers listed some of the world’s most unique, beautiful, and authentic eCommerce website and organized it very well. What’s more awesome is that anyone can lie their eyes on. We’re including this addition here because it gives you ways to design a responsive website. It gives you unlimited amount of inspiration. You also get to understand how successful eCommerce stores have managed to stay relevant in these competitive times. They created these designs to perfection for user experience, and intuitive usage. With this, the customers and consumers can quickly go from learning about a product, to finalizing a sale for it. Designers are welcome to submit their own eCommerce designs, and perhaps land a few extra clients that way. How was that for a good refresh of memory and understanding? There were some really jaw-dropping tools that we covered, yet the market for responsive design tools is growing with time. Sometimes it’s not just about the tools that gives us direct code tips, or a framework to work with. The tools that inspire us to make our apps and website more responsive where design is truly concerned. User experience always comes first, and there’s no better way to improve user experience than by improving the user interface. This is the very thing that becomes the experience of what you’re building. Have you found some new ideas from this list? We’d love to have you share them with us, always inspiring to read what other’s are coming up with! Nice article publish. really too many tools new add in my list. Now already use Adobe Edge Reflow CC . But after ready your article i like all tools. Try Testing all tools.